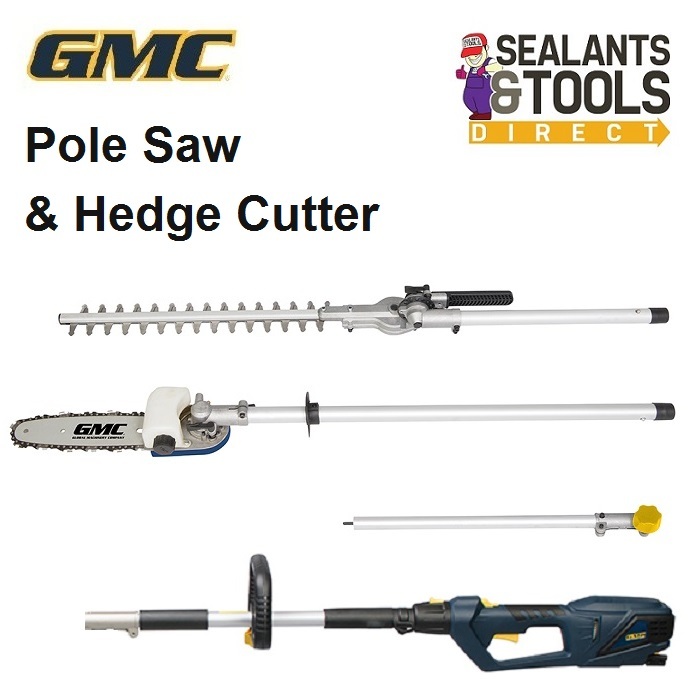 Chain saw pruning pole saw and hedge Cutter trimmer head tilts to enable cutting of the top of the edge with ease. 2 to 2.5m length for safe working with trees and tall hedges. Easy quick lock fittings for switching between 4 different configurations. Multi-position saw and trimmer heads. Multiple holding positions and shoulder strap. Every GMC product is guaranteed for a period of 30 days from date of purchase against a fault developing in either the materials or the workmanship during manufacture. You can extend your guarantee by registering your product within 30 days of purchase. Any faulty goods will be repaired or replaced free of charge.